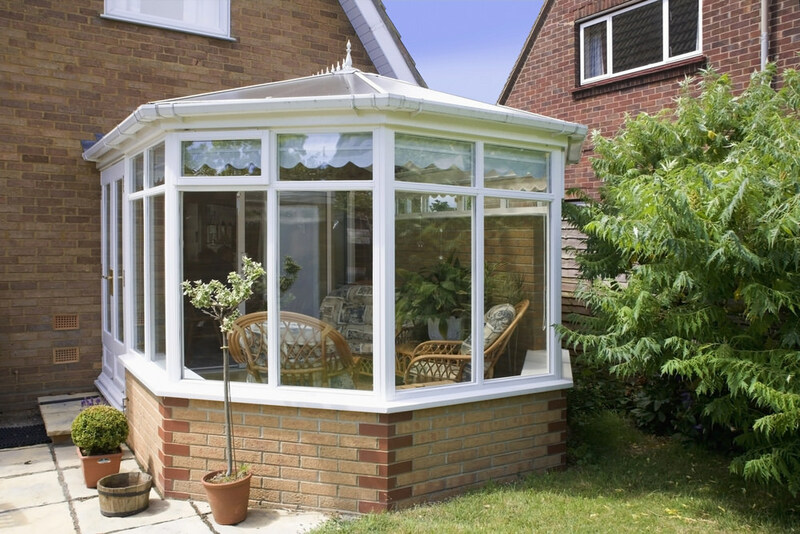 The Victorian conservatory is renowned for its classic and elegant design. Home owners favouring traditional styles will find themselves inevitably drawn to this decadent design. 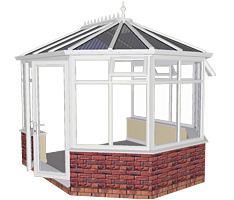 This traditional conservatory style is characterised by its multi-faceted design and classic appearance. A typical Victorian conservatory will feature beautiful French doors and delicately framed glass. This style can be fully glazed or have a dwarf wall incorporated into its base. Which option you choose will depend on your design requirements. Are you after more privacy or more light? Your conservatory installer will be able to offer their experience and advice. If you are looking to enhance the traditional aspects of your property then the Victorian style complements both period and modern properties alike, bringing a touch of charm and sophistication. The Victorian conservatory successfully captures the warmth and richness of it’s architectural past, making it a much loved and valued design. Delicate and ornate, the Victorian conservatory is a great complementary match for those properties of the same era. Victorian architecture famously incorporated lots of crestings and finials which is why you will find the same architectural details on the Victorian conservatory. Crestings are either made from aluminium or UPVC. Aluminium crestings are finished with a powdered polyester coating which makes the surface more durable. UPVC crestings however, are as equally durable and are generally cheaper. Which material you choose will be dependent on your specific requirements. UPVC Victorian conservatories tend to be more popular with home owners. This is largely due to their low maintenance and low cost design. UPVC conservatories are usually chosen in white but there are a large variety of colour options available. If you are looking to maintain a traditional aesthetic, then a wood-grain finish will set an iconic scene. How do you plan to use your Victorian conservatory? Knowing how will use the space will help when it comes applying the last finishes. For example, you can give your Victorian conservatory a modern spin with neutral colours and patterns. Or if you are after a glamorous dining area, then the addition of decadent cushions and decorations will provide you with a feeling of comfort and luxury. If you prefer an understated look then you may find the typical Victorian conservatory and it’s period details a little overwhelming. However, the great thing about the Victorian conservatory is its versatility. Today’s modern Victorian conservatory can be as eleaborate or minimalist as you like. 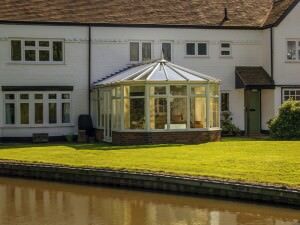 Your conservatory installer will work with you to provide you with a design which suits both your property and life style. The Victorian conservatory can be adapted to suit a wide range of properties. It’s soft round edges make it highly suitable for smaller gardens and properties which lack space. With the right design and plan, you can turn your Victorian conservatory into a magical space. The Victorian conservatory has a pitched roof which slopes upwards from its sides. Similar to the roof design of a house, the ridge is the apex part of the roof. A double hipped roof is available with this design if your property has height restrictions. This design can also be made to project out into larger gardens, perfect if you have a garden which is long and narrow. A Victorian conservatory will make a great addition to your home. Whether you are looking for an extra dining room, office or lounge, this conservatory style will add heaps of value to your property.